Sit Up Straight helps you to maintain a proper posture while working on computer. If you start to slouch, an overlay with sound will remind you to correct your posture. The reminder will stay active until you correct your posture then it will disappear automatically. 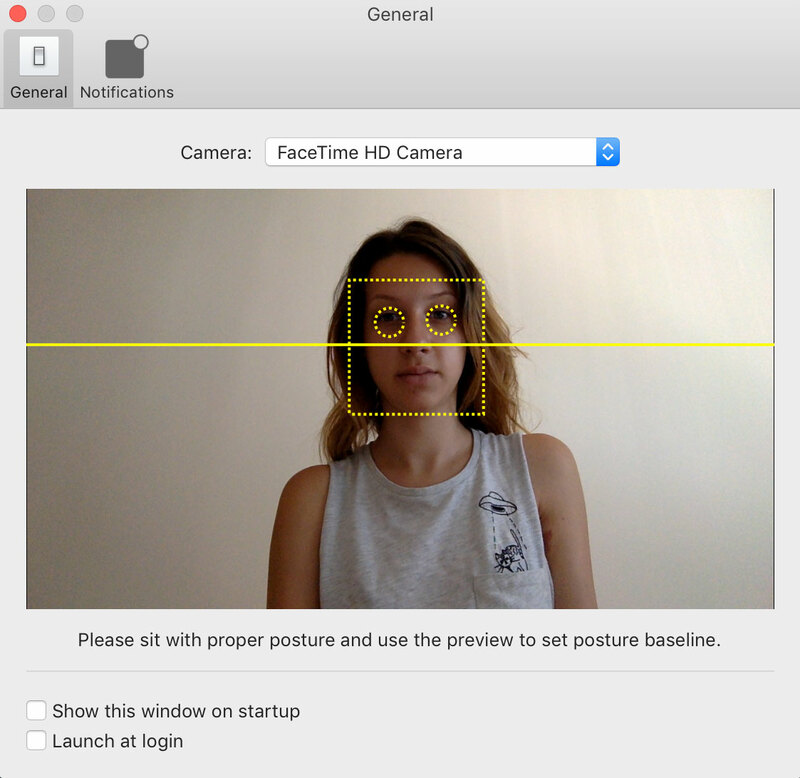 The app uses Mac’s camera to set up and assess your posture. Once you set up a "baseline" posture, the app analyzes your posture over time. You can score your posture over time keeping track of your success. 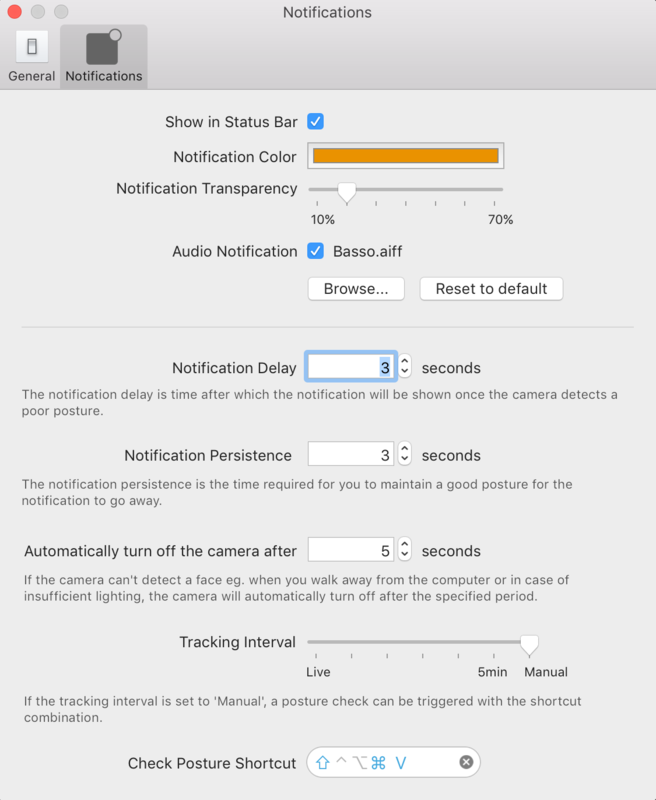 Manual - Posture check is triggered manually with a system wide shortcut or from the menu bar. Sit Up Straight can be disabled or paused at any time and there are various settings (alert sound, reminder color/opacity, time intervals ...) to better control the desired behavior. 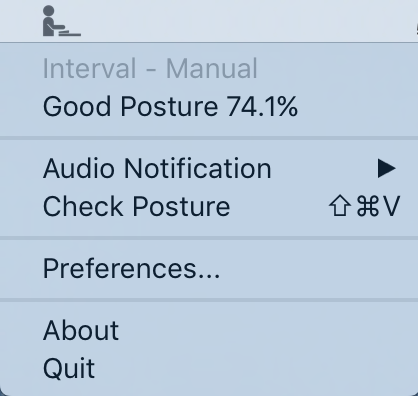 Sit Up Straight requires macOS 10.10+. Please feel free to send a feedback or report any bugs you find.